In an editorial published in the latest and final issue of glamourpuss, cartoonist Dave Sim identifies low sales of the self-published series -- just about 2,400 copies in the direct market (comic book stores) -- as the "end point" in his decades-long comics career. The politically controversial but eminently talented creator and self-publisher of Cerebus, Sim described what he called a "doomsday scenario" by which he would begin selling off original artwork and otherwise liquidating his archives, "up to and including just sending all of it to a landfill site or paying 1-800-GOT-JUNK to haul it all away, selling the house, liquidating the last of my [Canadian retirement savings plan] and my life insurance policy and just... disappearing." 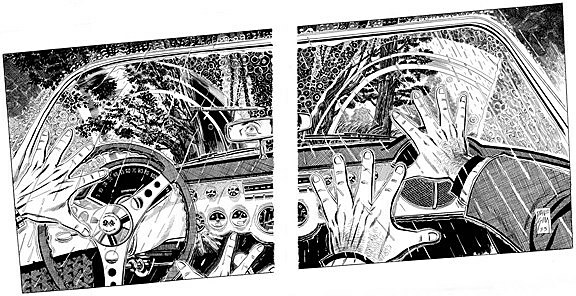 A self-described "pop culture parody and comic art scholarship," glamourpuss was Sim's creative exploration of the photorealism art style in comic books. The series, which appropriated the presentation of women's fashion magazines, debuted with only 16,000 copies sold and, in keeping with direct market tradition, would only drop from then on. glamourpuss eventually became a narrative called "The Strange Death of Alex Raymond," based on the life (and obviously death) of the Flash Gordon creator. It's a work that Sim would prefer to see through to its envisioned end, but the cartoonist wrote that his current economic realities are such that he may only be able to complete 15 to 30 pages if his "career lasts until March of next year," but that the story requires "considerably more" than that. The moment of truth arrived for Sim after a variant cover scheme failed to generate significant interest in glamourpuss. 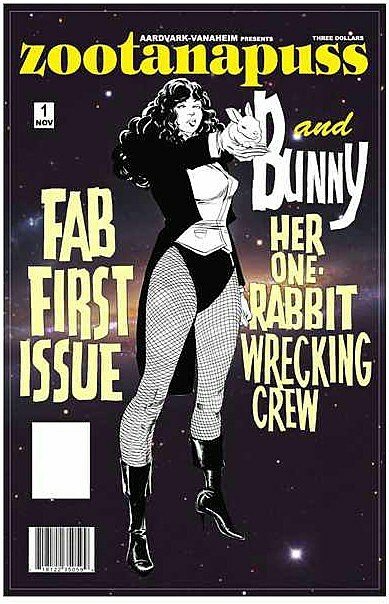 For this, Sim redesigned glamourpuss' covers to become zootanapuss, a parody of the DC Comics magician Zatanna created by Gardner Fox and Murphy Anderson. One copy of the rare edition was shipped to retailers who ordered four copies of glamourpuss. Additionally, Sim double-shipped those issues so that stores would have free copies of glamourpuss to sell to new readers. The initiative resulted in just 34 additional copies sold. The once dependable Cerebus paperback collections -- 16 phonebook-sized volumes compiling one of the most ambitious and frequently brilliant (and frequently not so brilliant) comics series of all time -- have not been performing as well as they once did, partly thanks to the grim economy of the last few years. Additionally, Cerebus is self-published, making it all that much harder to earn a profit. It has been exceedingly difficult for original comics of all kinds to make berth in comic stores given just how much product is shipped each and every week, and it has to be said that glamourpuss is a particularly esoteric work. 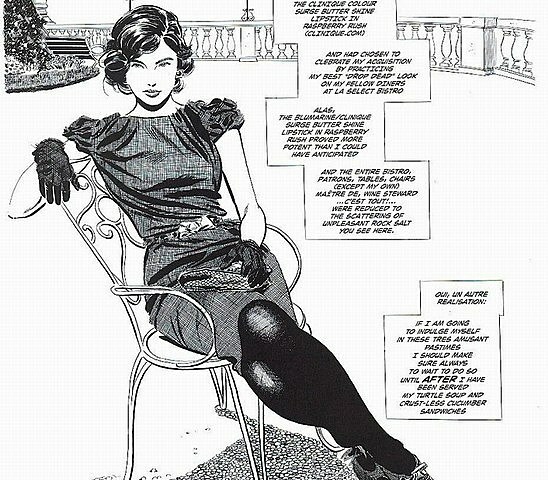 That readers, even fans of Cerebus, would not connect with glamourpuss simply as a matter of personal taste is not too surprising, and not a phenomenon that hasn't been experienced by even the most popular creators. It is also true, or at least very arguable, that Sim is more well known now for his divisive opinions about feminism and religion than he is for his exceptional cartooning, and that may have played a part in the audience's reaction to glamourpuss. Nevertheless, glamourpuss is a unique work of value, generating not just some very pretty pictures but also some thoughtful discussion, like this ComicsAlliance piece by John Parker and a recent episode of the always fascinating Comic Books Are Burning In Hell podcast by critics and occasional CA and Comics Journal contributors Matt Seneca, Tucker Stone, Joe McCulloch and Chris Mautner. It's a terrible shame that there seems to be no avenue in this industry for glamourpuss to be even modestly successful in the financial terms Sim requires to continue it, especially given the fact that the comic is itself a commentary on the artform. That the failure of glamourpuss leaves only one pathway to Sim, oblivion, is something that many would take issue with. As I said, glamourpuss was a deeply idiosyncratic work, even by Sim's standards, but just because longtime Sim readers didn't support it as they had Cerebus does not mean they wouldn't support something else. But Sim has evidence to suspect that they wouldn't, citing the low 10,000 number as sales for his 2008 holocaust graphic novella Judenhass and the lack of interest in Cerebus Archive and Cerebus TV, both of which have been shuttered. However, some financial hope remains in the very successful Kickstarter campaign for the digital edition of Cerebus: High Society, which raised over $60,000 for the multimedia reissuing of Sim's classic graphic novel. The project has been seriously setback by a fire which destroyed many of the production materials, but is still in the works. There's every reason to believe future campaigns will be successful. Referencing recent steps taken by comic artist Steve Rude, whose economic and legal troubles necessitated a return to comics as part of the Eisner-winning Dark Horse Presents, Sim readers at A Moment Of Cerebus have wondered whether the cartoonist should abandon the self-publishing model and license his magnum opus to Dark Horse or another company who can shoulder some of the financial risk, freeing Sim up to create more comics. That Dave Sim would become an Internet crowd-funding success story would have once seemed like one of the least likely things that would ever happen, so it's hard to say that a licensing agreement with a mainstream publisher is out of the question. Certainly, Cerebus deserves to remain in print. glamourpuss can be purchased online at ComiXpress, and the Cerebus collections can be found or ordered in finer comics shops and Amazon.